These free widgets are essentially buttons that drive people to your profile on TripAdvisor. Typically, they’re placed on your website’s homepage, but feel free to get creative and place them wherever you feel they will compel the most action. Since there are different kinds of widgets available, you can match them to relevant pages on your site. Remember to also add them to your Facebook Business Page and any other social media accounts that your business has. You can also take advantage of your current online booking system’s social media capabilities. Some solutions, like Rezdy, allow bookings to be made directly from your Facebook Business Page, and connect directly to TripAdvisor’s listings. We already talked about how TripAdvisor is a great way to get honest feedback from your customers. Sometimes, though, that feedback might violate TripAdvisor’s review guidelines. 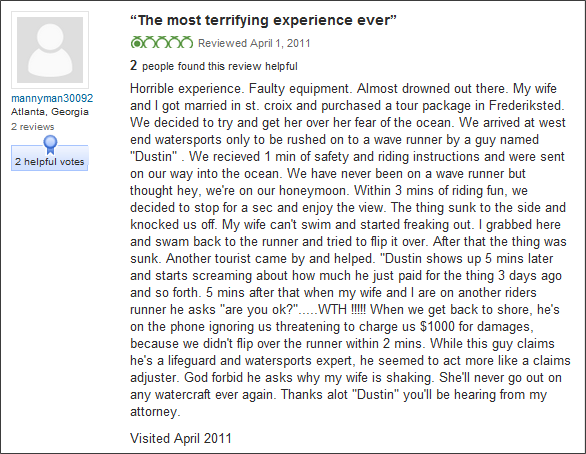 That’s why it’s so important to monitor your reviews at all times; you can report such cases straight away. 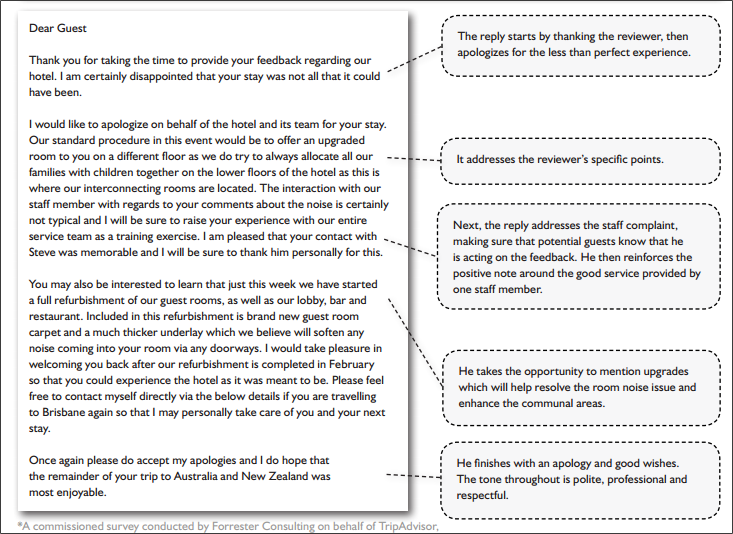 Fake travelers posting negative reviews should be your main concern in this case. TripAdvisor have a strict fraud detection system in place to weed those out, but you have to alert them to it first. The faster you report it, the faster it will be resolved. Hats off to Brian and Scott for addressing this issue in the right way. Not only did they own up to it (instead of ignoring it and hoping it goes away), they also clearly state that they’re the new owners – which means it won’t recur for anyone, because the business is being run by entirely new people. This lets those browsing their listing know they shouldn’t fear being mistreated in the same way. This program gets you some valuable screen time on TripAdvisor’s homepage using a “You scratch my back, I’ll scratch yours” method; you link to them from your homepage, and they give you a promotional placement on their listings for activities in return. However, not just anyone can join – you need to submit an enquiry which is then subject to approval. It’s important to note that this program does not help you in your SEO efforts (by giving you a good inbound link to increase your rank on Google’s search engine results page). Its only aim is to increase traffic to your site. TripAdvisor is now converting its website visitors in real customers. Find out how you can add a “book a tour” button on TripAdvisor.